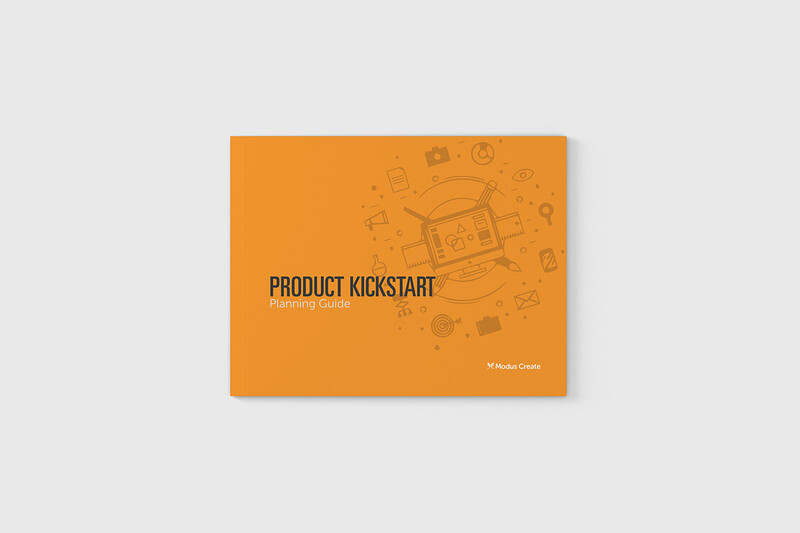 Product Kickstart is five days of facilitated product discussion to give your team a better framework for making decisions and result in a better product that gets shipped faster. 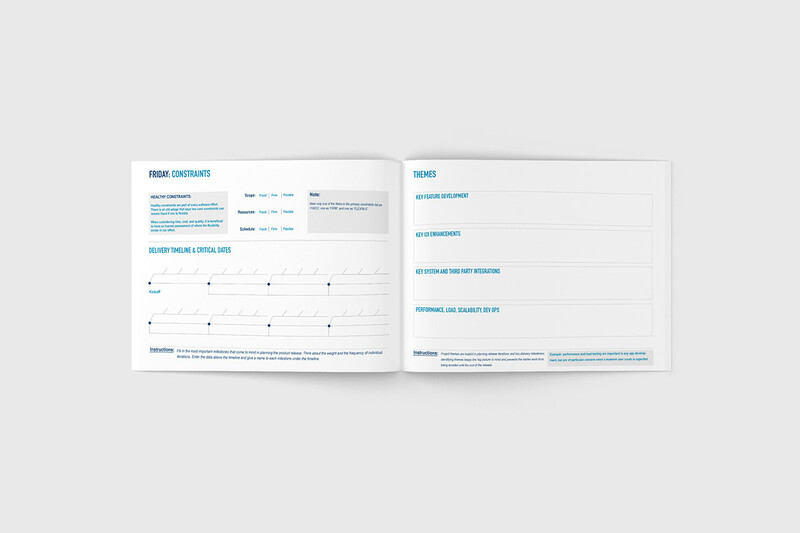 The publication was designed for the company Modus Create to use when engaging with new clients on their products Goal Alignment, User Tasks, Workflows, Personas, User Stories, Design Patterns, UX/UI, Mobile First Design, Scope & Estimation Agile Planning, Prioritisation and Plan Assumptions and Experiments. 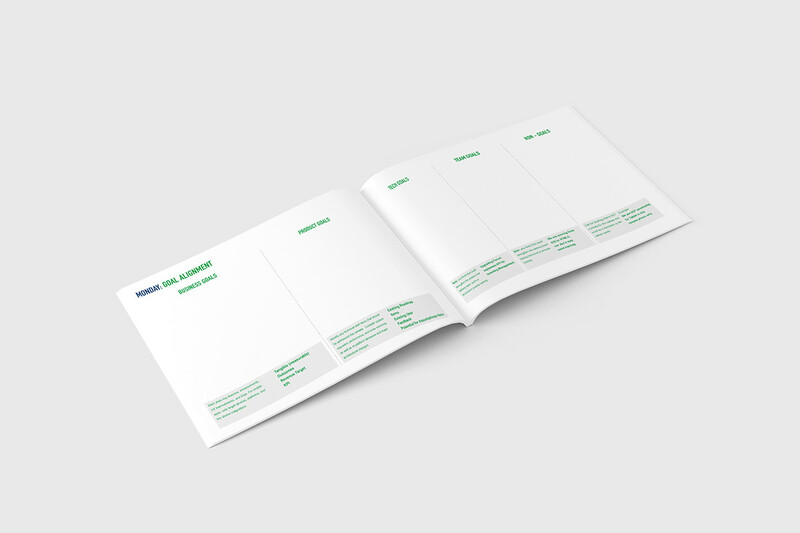 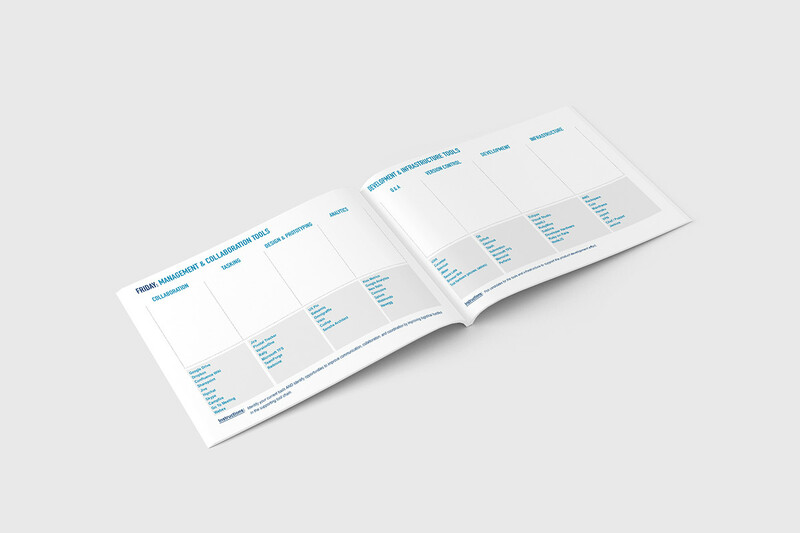 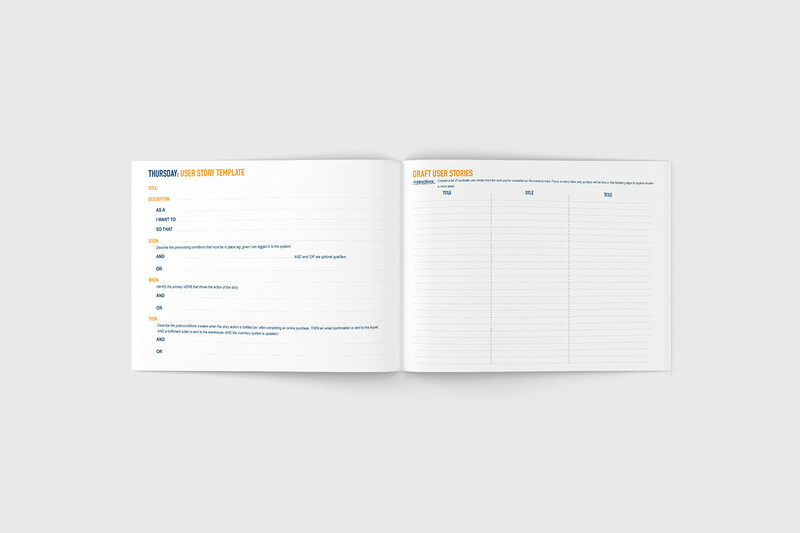 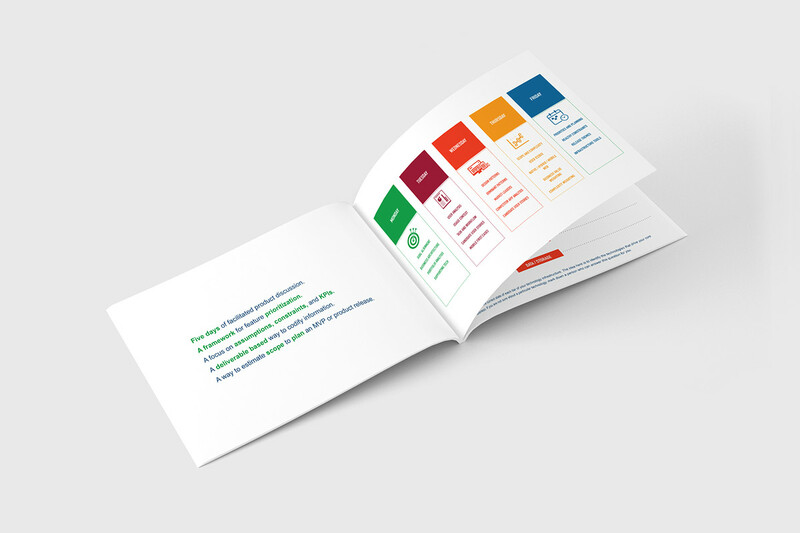 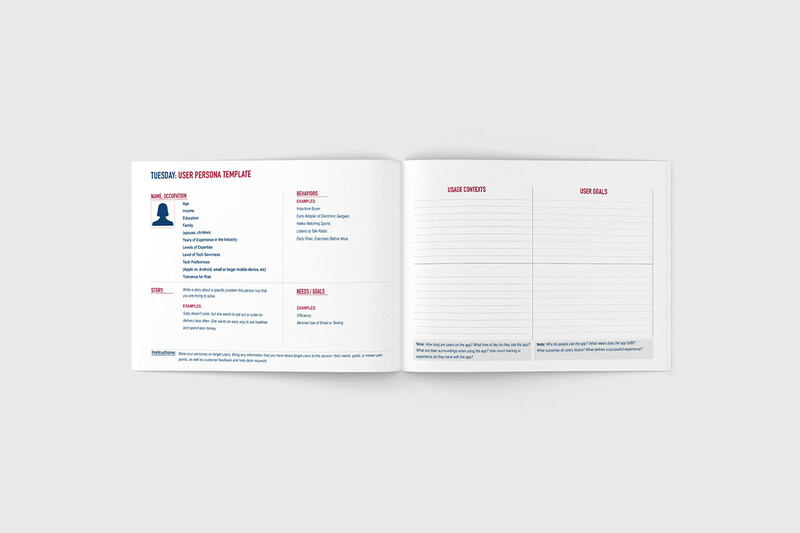 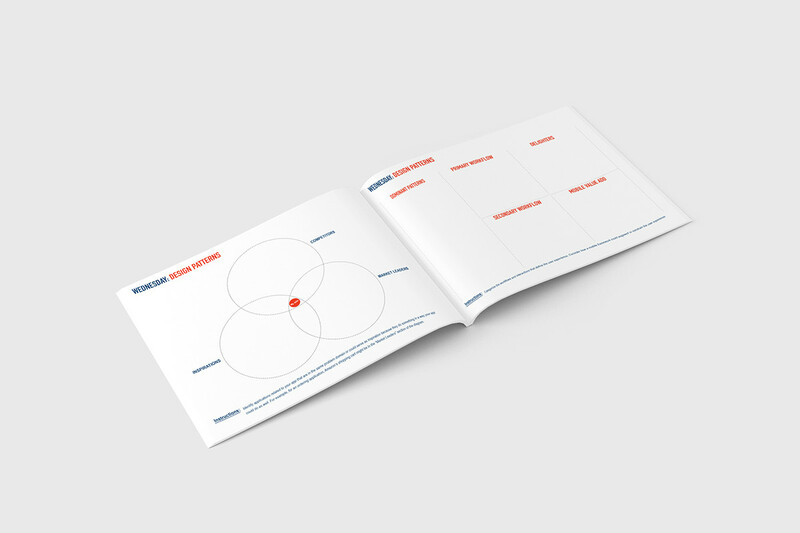 The Product Kickstart (designed for Modus Create) is a booklet with an intense five day engagement that uses Lean principles to scope a project and equip an Agile team with the resources to be successful.